The Philosophy Collection packages the specialist indexing of the 3rd party Philosopher’s Index with ProQuest’s Philosophy Database to support philosophy researchers at all levels. Philosopher’s Index is a 3rd party bibliographic database with informative, author-written abstracts covering scholarship in all areas of philosophy. The literature covered dates back to 1940 and includes journal articles, books, book chapters, contributions to anthologies, and book reviews. It is created by philosophers for philosophers. ProQuest’s Philosophy Database brings together more than 160 scholarly journals covering all aspects of Philosophy in theory and practice, analytical, and continental. With deep backfiles of journals going all the way to the 1860s, this collection offers more than 3,000 journal years of scholarship and is constantly growing. 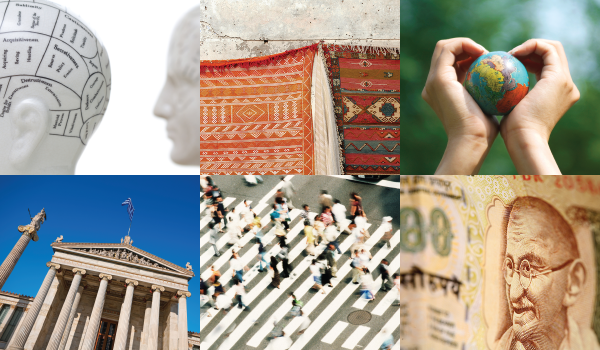 In addition to these important journals, the database includes more than 1,000 influential dissertations and videos to support historical and contemporary research into this highly cross-disciplinary field. 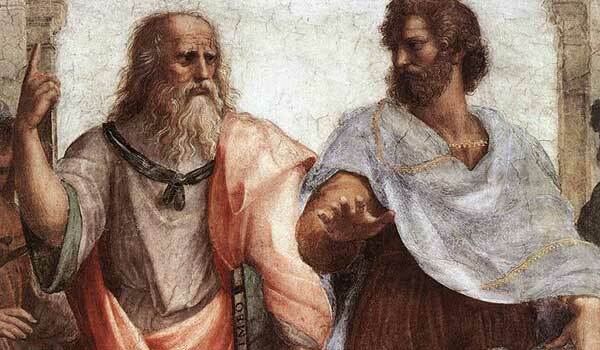 The Philosophy Collection also brings together more than 160 full-text scholarly journals concerned with all aspects of the study of philosophy, many of them exclusively available through ProQuest. The collection includes the preeminent scholarly bibliography, Philosopher’s Index, produced by the Philosopher’s Information Center, a nonprofit organization dedicated to providing the finest scholarly resources to philosophers and individuals interested in philosophy and related disciplines. It provides deep and specialist indexing for more than 1,850 journals. It features more than 3,000 full-text journal years of content. Journals date back to the 1860s and run up to the present day, with more new journal titles and issues added on a regular basis. Journals cover all aspects of the historical and contemporary understanding of the multidisciplinary field of philosophy from metaphysics and aesthetics to the philosophy of religion and business ethics. It also features exclusive video content where academics discuss key themes and traditional and emerging concepts in the discipline. The collection features over 1,000 exclusive dissertations by contemporary scholars, the most influential contemporary scholarship by researchers active in the field. The content benefits from all the features of the ProQuest platform, including powerful search, browse and filtering tools, integrated citation management, and referencing tools. 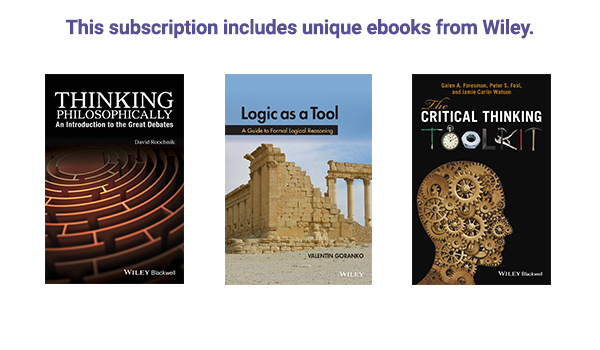 ProQuest's Religion & Philosophy Ebook Subscription offers anytime, anywhere access to 16,000+ titles including unique ebooks from Wiley. It covers topics such as philosophy, Christianity, Judaism, Islam, Buddhism, criticism and interpretation of The Bible, and religious history, beliefs, ethics, culture, politics, and more.